Repurposing things can be lots of fun…and a great creative outlet. 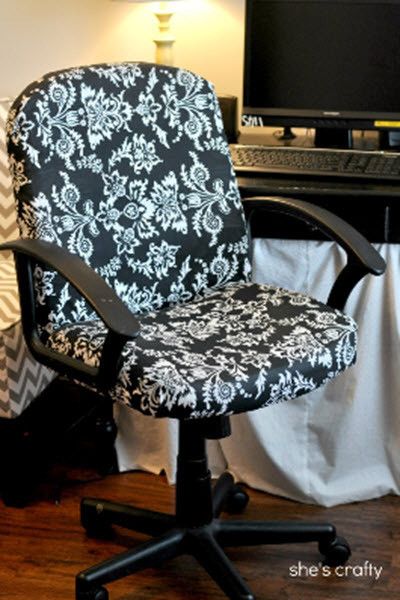 Start with choosing a wonderful new fabric and then follow the instructions of this post to reupholster your favorite office chair. No need to throw out a perfectly working chair when only the upholstery is outdated or damaged.